After spending three days last week at Combined Sections Meeting (CSM), the American Physical Therapy Association’s annual conference, I am overwhelmed by the tremendous amount of PRIDE and PRIVILEGE that I feel to be a physical therapist. 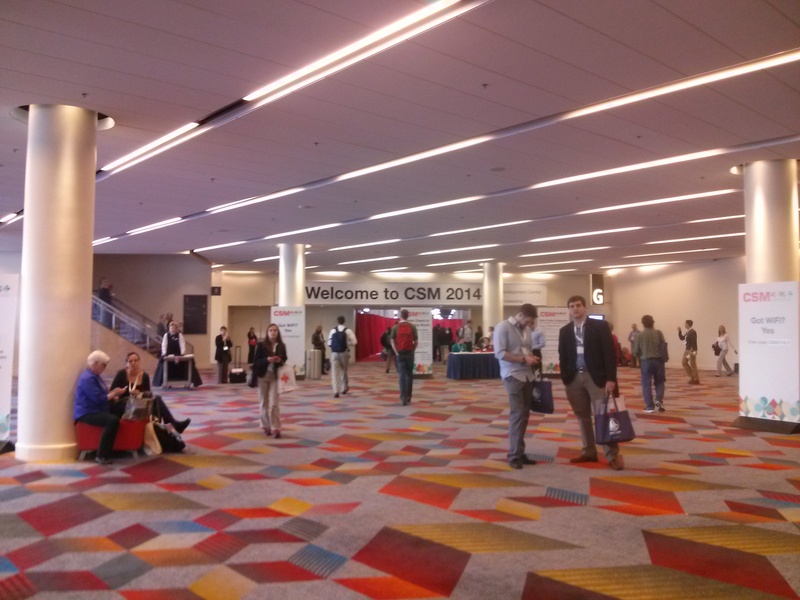 Approximately 10,000 physical therapists gathered at the Venetian in Las Vegas from across the country to learn, develop profession skills, share research, and network. I have personally never attended a conference of such a large magnitude! Physical therapists from many different specialties, including pediatric, geriatric, aquatic P.T., home care, and of, course, pelvic floor, came together to attend lectures relating to their area of expertise. As a pelvic floor physical therapist, I had the opportunity to attend many fascinating and important lectures, including the effects of estrogen hormone replacement therapy on the musculoskeletal system, a diastasis rectus correction class, effective interviewing for pelvic floor practitioners, and psychosocial considerations of pregnant and post partum women. In addition, I attended a lecture taught by several physical therapists who spent time treating underprivileged women in Goma, Democratic Republic of Congo, who suffered from obstetric and traumatic fistulas. Also, I thoroughly enjoyed a two part session that was taught by Dr. David Butler and Dr. Lorimer Moseley, authors of Explain Pain. Butler and Moseley shared their latest research findings on how our brain interprets pain and how various pain pathways are created and reinforced within the neurologic system. Their research has shown that individuals who UNDERSTAND the science behind their pain can better cope with and control their pain symptoms. They encouraged us, an audience full of physical therapists, to explain the mechanism of pain to our patients as much as possible to offer each patient improved levels of control. Furthermore, the conference featured poster presentations with the latest research discoveries. I was especially interested in the research of Dr. Chiarello, PT, PhD at Columbia University, which was on Diastasis Rectus Abdominis and Function in Pregnancy. 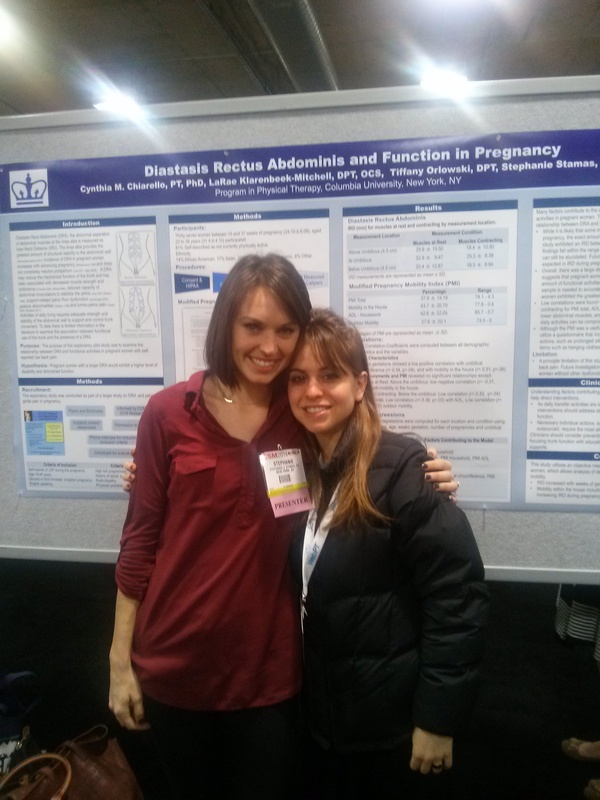 Dr. Chiarello was joined at the poster presentation by Dr. Stephanie Stamas, a former student physical therapist at BBPT, who helped Dr. Chiarello with her research. The overall exchange of information, sharing of knowledge, and professional networking during the conference was incredible. CSM was a rewarding and enlightening experience, and I hope to have the opportunity to participate in future similar courses.